Every October, Scientologists come to Saint Hill Manor in England (just outside London) from all over the world to attend a formal event celebrating the International Association of Scientologists (IAS). This organisation started life as a legal defence fund for Scientologists, and gradually morphed into a general-purpose fund for the leadership to spend at a whim. David Miscavige, the current leader of the Church of Scientology is always the centre of attention at IAS events, and makes marathon speeches. IAS funds were likely used to finance an expensive effort to complete new Scientology facilities in Dublin, Ireland and Birmingham, England so that Miscavige could open them while he was relatively nearby. When I went to Ireland, to observe the opening there, I wondered if the trip would be worthwhile. After all, people like me, and the locals, would be utterly excluded. When I got there, I realised that showing the remarkable ‘security’ operation mounted by Scientology in order to do this was actually and excellent illustration of its paranoid and controlling nature. An organisation which presents itself as a religion behaved as if their new Church was a military base. Measures taken included closing sidewalks, surrounding it with private security guards and using outward-facing loudspeakers to mask the sound of the speech. 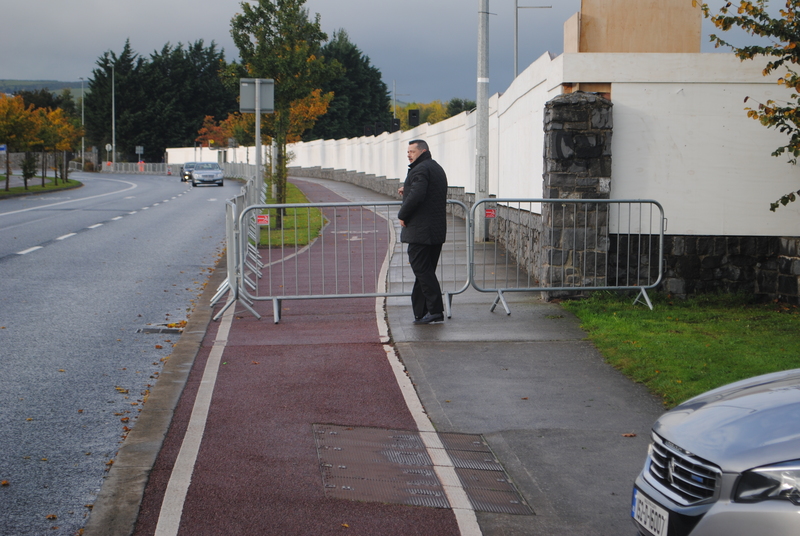 I’ve given an eye-witness report from Dublin in a previous post. This one is from Birmingham, concerning the opening of Pitmaston house as a Church of Scientology on the 22nd of October. Scientology remained true to form, and repeated the incredible behaviour they had exhibited in Ireland. L Ron Hubbard’s behaviour towards his followers alternated between ‘stick’ and ‘carrot’. Repressive periods were occasionally relived by ‘amnesties’ and the announcement of ‘new breakthroughs’. The “Super Power Rundowns” were one of the ‘breakthroughs,’ supposedly invented by L Ron Hubbard to reinvigorate his exhausted staff. Scientologists present this as an act of charity, overlooking the fact that it was Hubbard who had overworked them in the first place. This material was not made available to rank and file Scientologists and was almost forgotten until many years after Hubbard died in 1986. 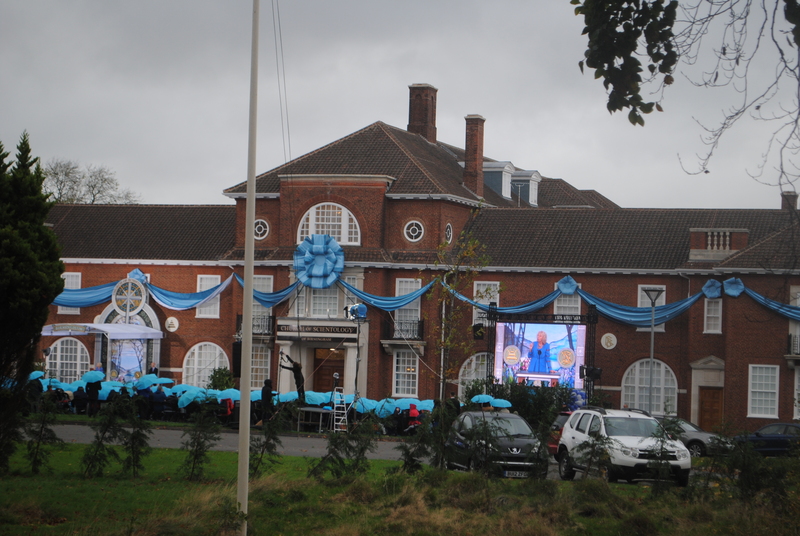 Then, the Church of Scientology’s new leader, David Miscavige, repackaged and ‘enhanced’ it as a residential course that would require purpose built premises and special equipment to complete. 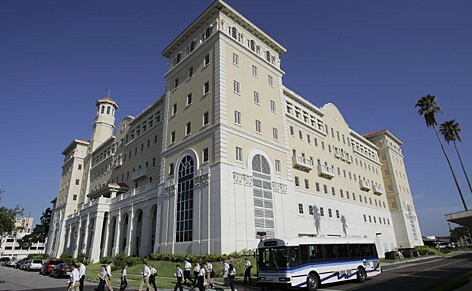 The renovation of a building bought for this purpose began in 1988, in Clearwater, Florida (the international HQ of the Church). Although donations were continuously solicited the facilities were not completed until November 2013. Critics suggest that not all the money raised for the “Super Power Building” (now know as the “Flag Building”) went to the purpose intended. Were sold for some time, with official approval, in Scientology Orgs. In short, they banned their own books. Admittedly many of these texts were pamphlets, and their aim was limited. 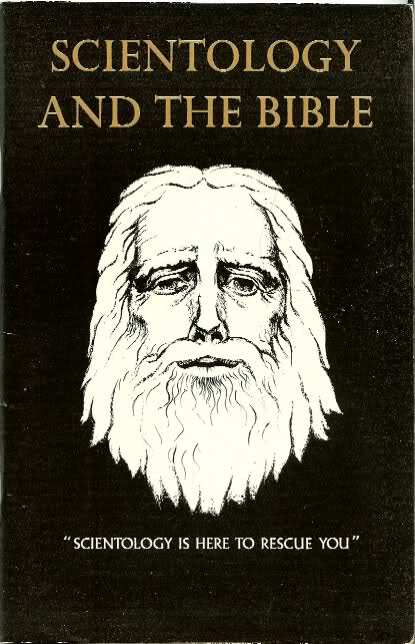 A typical disclaimer declared that the author’s purpose was, “to demonstrates various ways the author and others have successfully applied a few of the basic principles of Scientology”. Writing them required a minimum of original thought. They were all based on longer works by Hubbard who was given all credit at every opportunity. After the break, I offer a theory as to why these texts were permitted for so long and why there were finally prohibited. 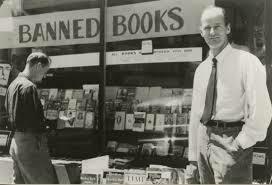 There is also a partial list of banned books. If anyone has copies of any of these texts, I would be extremely grateful if you would contact me through this site’s feedback page. In 1996 the Church of Scientology broadcast its first television advertisements in the UK. The ads themselves were practically content-free and apparently unsuccessful. No more appeared until 2014, and those too, sank without trace. However, even back in 1996 Scientology’s reputation was poor and there was a lively debate about whether they should be allowed to advertise on television at all. The BBC’s flagship news programme “Newsnight” took an interest. Their report is presented in two video windows below, in two parts. Part one provides background to the story, part two shows a studio debate which followed. It is of particular interest today because the Scientology representative who appears in both is one Heber Jentzsch. In 1967 L Ron Hubbard, the founder of Scientology, took to the high seas to avoid the legal consequences of his activities. He bought a number of redundant vessels and recruited an ‘elite’ group of Scientologists to crew them for him – the ‘Sea Org’ (short for ‘Sea Organisation’). The Sea Org has an official publication – “Highwinds: Magazine of the Sea Organisation”. After the break there are links to 12 issues of “Highwinds” which you can download. 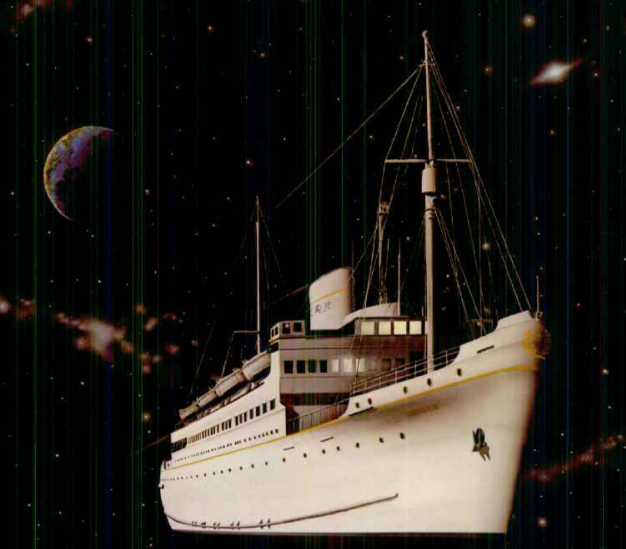 After Hubbard abandoned ship, returned to the US and went into hiding, Scientology’s fleet of ships contracted from its peak of four to just one – the “Freewinds”, an ageing cruise ship where the most secret upper levels of Scientology training are still presented. Despite an apparent lack of appropriate employment, the Sea Org endures. However, they are now an almost exclusively land-based organisation which the Church of Scientology claims is a religious order (although they still wear elaborate faux-Naval dress uniforms). Under US law, the Sea Org’s ‘religious’ status releases the Church from many legal obligations (e.g. employment law) and critics observe that Sea Org members work long hours under pseudo-military discipline for minimal wages – and are discarded without compensation when found to be ‘unfit for duty’. Members of the Sea Org are encouraged to see themselves differently – as an uncompromising military force engaged in a mission to save mankind over multiple lifetimes. Their motto is “Revenimus” – “We come back” because they believe that they have served the Sea Org in previous lives and will do so again in future incarnations.